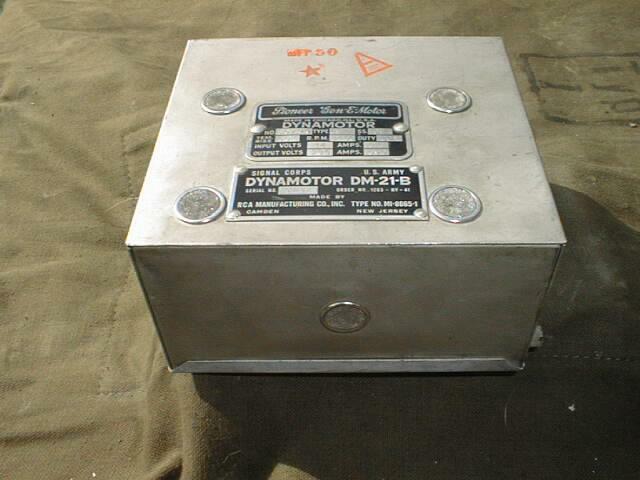 This is the DM-21 Dynamotor for the BC-312 or BC-314 Radio Sets. Supplied in NOS New Old Stock condition. There were plenty of these radios available on the surplus market back in the 50's and a many of these radios were modified over the years to run on mains voltage with a home made power supply. A new DM-21 Dynamotor would be a perfect for restoration of a radio to original specifications. The Dynamotor produces 235VAC @0.090 A from a 14VDC @3.3A power supply. It could also be used to provide HT voltage for other radios or projects. Input Volts: 14 VDC @3.3 Amp. Output Volts: 235 Volts @0.090 Amps.